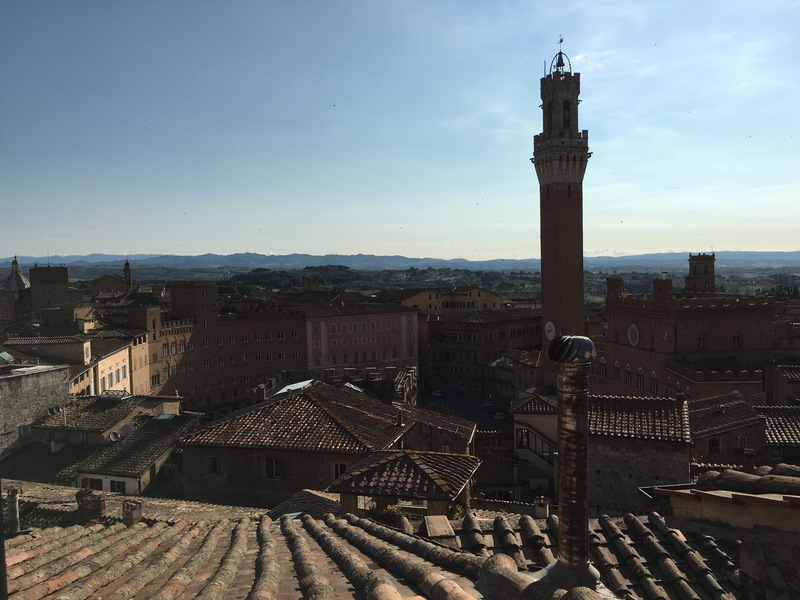 Just a quick post to tell you about the sound and smell of Siena in the morning. It is 8am and in the square below us there are only service vehicles – no locals and no tourists to speak of. Mind you, the place was still buzzing at 11pm last night. The smell of fresh baking is wafting in the window from below, freshly baked bread and hints of almond and other things I can’t quite discern. 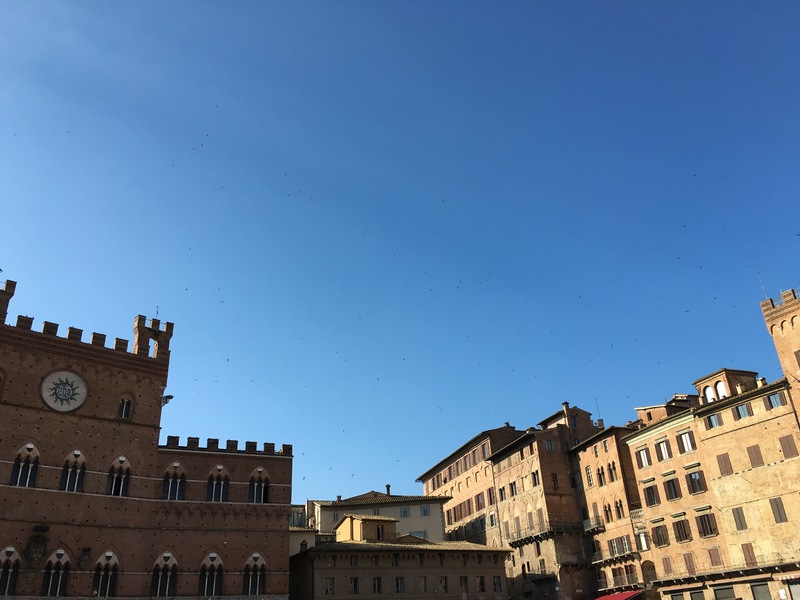 The birds that nest in the nooks and crannies of the buildings are out in force, flying around the tower and above the square in formation, calling loudly. From time to time there is a midair dog-fight, the participants squawking loudly. It’s idyllic, but it’s time to move on.